It’s not often that I write a review on my blog. I usually stick to recipes as they’re the posts that you all seem to like best, but when Froothie offered me the chance to giveaway one of their Optimum G2.3 Platinum Series Induction Blenders to one of my readers, I couldn’t say no! As some of you may know, my Froothie Optimum 9400 has been one of my most loved and most used kitchen gadgets since becoming a proud owner in 2014. It has since changed my cooking and blogging so much. I could never go back to using a regular blender after experiencing the joy of making smoothies in 60 seconds! I use it for most of my recipes and you will have seen it making a regular appearance in my recipe videos. Now, I’m the proud owner of another amazing blender – Froothie’s new and improved Optimum G2.3. I was so excited when Froothie offered me to try it. It may look similar to my beloved Optimum 9400 but with a couple of major improvements. 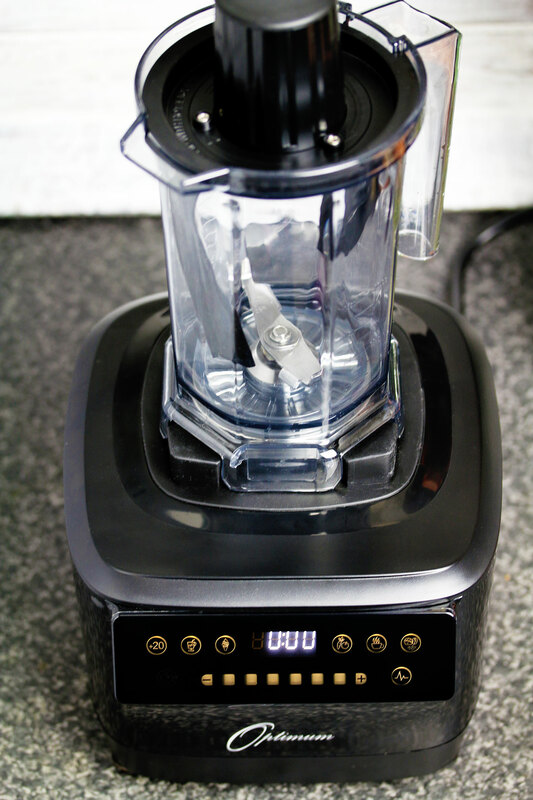 The G2.3 is one of the world’s first high-performance blenders that features new induction motor technology making it a lot quieter compared to regular blenders. A main 2 litre jug with a multi-purpose 6-blade stainless steel assembly and a heavy duty tamper tool for improved processing and mixing. A second smaller 1 litre rotating jug designed for blending thicker mixtures, which for me means things like nut butters, hummus, and raw desserts like date caramel and raw cheesecake. The lid is designed to scrap down the sides of the jug while it’s blending making it a lot more user friendly and helps speed up the process. The small jug is also handy when making smaller quantities of a recipe. A spatula specifically designed to remove ingredients from under the blades. A LED touch screen control panel featuring automatic, one-push button programs. 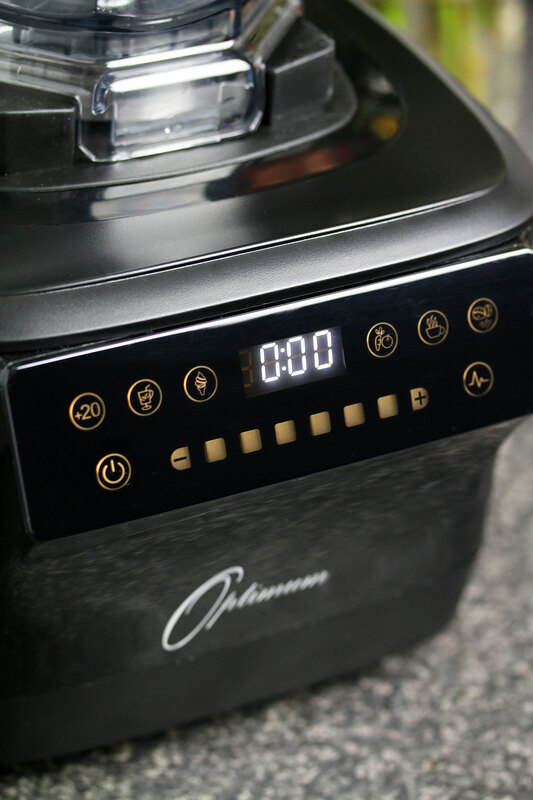 It comes with handy pre-programmed settings including smoothies, soups, fruit, vegetables, sorbet and grinding (which I use to grind nuts and to create my own oat flour). A recipe book with lots of food inspo to help get you started! There is also a 30-day money back guarantee which includes return postage. The two features that I was most excited about was the reduced noise (we all know how loud blenders can be!) and the smaller jug. Even though I used my Optimum 9400 to make nut butters and raw desserts, it was sometimes a bit of a pain removing the mixture from the jug and it took a lot longer to blend because of the jug’s shape. The smaller jug is just AMAZING! Naturally the first thing I made was peanut butter and it was so easy! I had freshly made, smooth and silky peanut butter within a couple of minutes which is insane! (I’ve filmed a video showing you the blender in action which I will be sharing soon!). 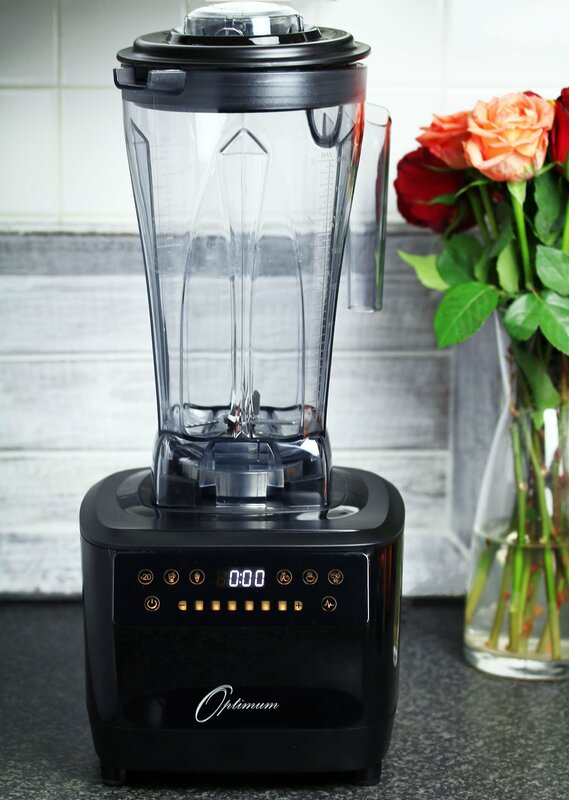 So now that you know all about this amazing blender, how do you feel about owning one of your own Optimum G2.3 worth £700 so you can recreate all my raw treats and smoothies? Enter the Rafflecoper giveaway below. Once the giveaway has ended, Rafflecopter will pick a winner at random from the entries received (the more points you have the better your chance of winning!). The winner will then be contacted by email. If the winner does not respond within 7 days of being contacted another winner will be picked. This giveaway is only open to those with a UK postal address (Apologies to all my international readers). The prise is provided by Froothie, Nadia’s Healthy Kitchen accepts no responsibility for the acts or defaults of Froothie. Nadia’s Healthy Kitchen reserves the right to cancel or amend the giveaway and these terms and conditions without notice. Closing date is Thursday 9th March 2017. This giveaway is hosted by Froothie; however all opinions are my own. This is so awesome. It would make great almond milk! I’ve been day dreaming about making my own almond maple syrup butter, this would be amazing for that. 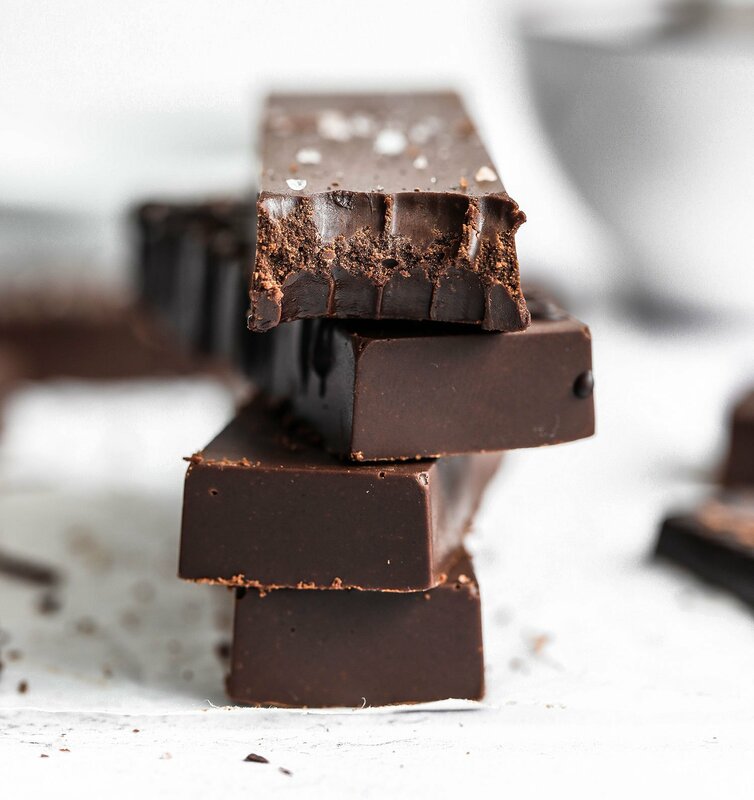 My all time favorite recipe from your blog is the vegan protein snickers. I have the sweetest tooth, and although even healthier sweets have to be limited, I can eat the snickers guilty free everyday!! This is just what I’m looking for so I can make lots of vegan desserts! My favorite recipe is the Matcha chocolate brownies, I’ve already made them twice! My favourite so far is Halva Overnight Oats. I remember eating them in a morning meeting at work and being so surprised how delicious they were – I was eating pudding for breakfast! They are just so nice and so few ingredients. Yummy! So amazing for creamy raw dessert making and cheeses. Yum. Vegan protein snicker bars is my favorite. Omg, that’s such an amazing opportunity, would love to win this blender! Nadia, all your recipes are amazing, I made your vanilla biscuits once and they were lovely. In the future I am definitely planning to make more of your recipes as they are so good. Thank you for the amazing giveaway Nadia! My favourite recipe is your gluten free and vegan twix bars!! How exciting! you can make such amazing recipes with this blender!! I’m relatively new to your site but I came looking for smoothies, and BINGO. Right now I’ve been making the healthy matcha freakshake. And it’s love! I hate that I have to share. So I’m gonna go with that as my favorite for now! Can’t wait to try a few more. Thank you! homemade ferrero rocher is my favourite recipe. I love the protein chocolate muffins for a healthy but naughty post workout treat! This is a great looking blender! Wish I lived in the UK now! 🙂 🙂 Btw, love the raspberry chocolate hearts! I never heard of this beand before, but it sounds amazing!!!! Omg! I love this giveaway! I’ve been thinking about saving up for one if these so this is awesome. My favourite recipe of yours has to be either your vegan gluten free Crepes or lemon cake, do good. I can’t wait to try the banana cake with blueberry frosting you recently posted too. I love the Pumpkin Cauliflower Lentil Curry but you have some many great recipes it is hard to choose. Homemade Ferrero Rocher – delicious! I love the chocolate matcha brownies!! Would love to win this blender! My favorite recipe must be the carrot cake! Sounds like an amazing blender! My favorite recipe is the gluten-free carrot cake. Amazing! Ferrero rocher !! Love it! Has to be the vegan gf chocolate microwave cake, I use a variation of it nearly every day! I love your recent bluebery cream bananabread post. So brilliantly simple and delicious. I have also successfully had a go at date caramel pasta. Yum!!!! My favourite recipe by far is the blueberry bounty bars! They are so beautiful and taste amazing 🙂 thanks for the awesome recipe Nadia! They are such good blenders and really simple to use, no fancy instructions, it just works! Love your strawberry hearts. This blender sounds fab. My current blender has gone away to be repaired and I like the idea of one that doesn’t require the user to cover their ears!! This is amazing!! Would be great for making my smoothies!! My favorite recipe is the vegan glutenfree banana bread oh my god it is so good I swear I’ve never tasted a better tasting banana bread and it’s even gluten free! I’ve made your Vegan Butternut Squash Alfredo lots of times and it is delicious! My favourite recipe is the Coffee Blackcurrant Banana Ice Cream! Love watching the fb recipes! 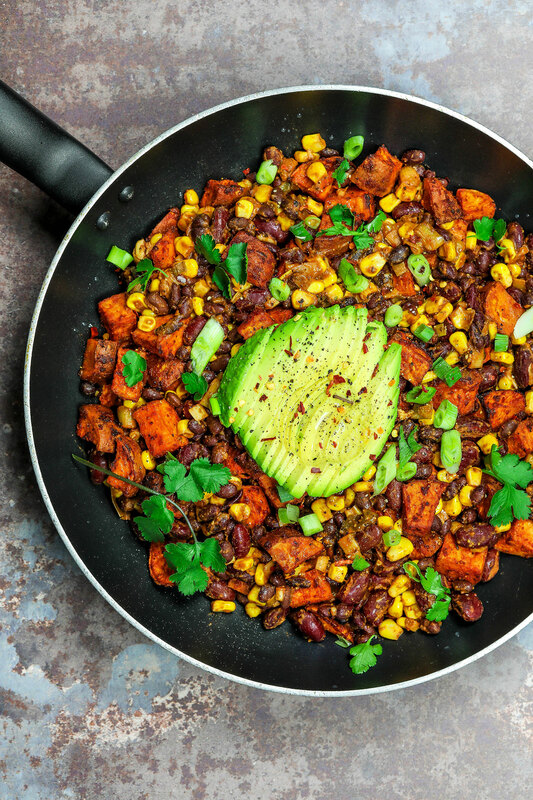 My favourite recipe from the blog is the Vegan Chilli Con Carne. I love this tasty dish! Would blend amazing Tomato and Basil soup !!! Can almost taste the goodness !!!! And, btw, love your recipes. My fave being Jaffa cakes. This blender looks incredible! My favourite of your recipes is the Bakewell tart, I made it with raspberries and it’s so delicious. Very straightforward and quick to make as well, which is perfect given I have ME. My favourite recipe is banana chocolate chip pancakes! Nadia, your recipes are great! Have tried a few of them. The favourite would probably be almond pulp balls! Love them! 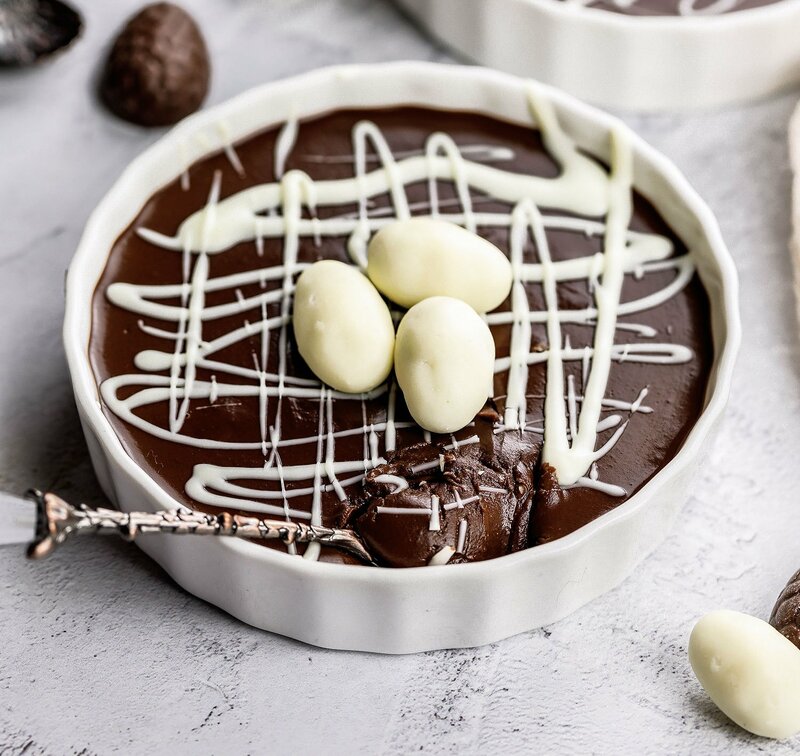 Following on from a month of being sugar free, I recently discovered your instagram page and I’ve been blown away by the range of sugar free desserts and other recipes you’ve created. 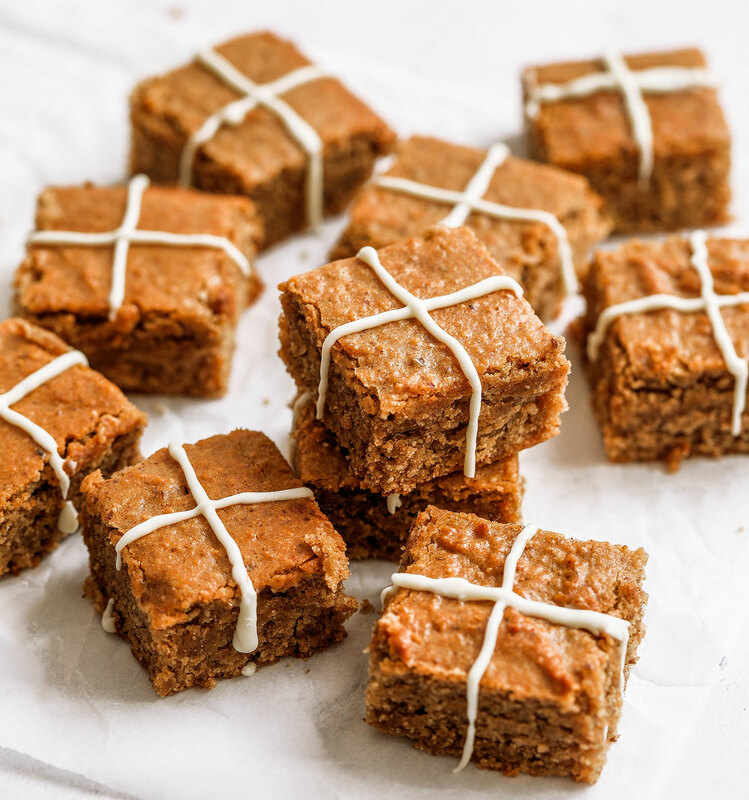 You have really inspired me to create some amazing sugar free treats. Your most exciting recipe I’ve seen has got to be the cheesecake! All I need now is a food processor to blitz it all together in! And I found that giveaway page – it just ‘bum’ to me! It hit me with a great smile, so nice surprise, thumps up, Naida. Especially I was searching a good one blender for a while now. I’d like to make my own snack-bars for mountains/ mountaineering, climbing, skiing etc. I know what I want from snack-bars, I was researching a lot, which combinations would be the best for me for super energy in mountains by different kind of activities. And to make really good energy snackbars that kind of blender will really help me! And in the mornings to start a day in full energy I’ll prepared really nice smoothies. I appreciate so much for your webpage and your giveaway. I’m not from UK, but maybe somehow the Froothie will agree to send it to Slovenia, Europe? I could cover mail costs, yes, yes. Thanks, Nadia, and keep doing great work! I would absolutely love to be able to try this blender, it sounds amazing!! This is an amazing giveaway, anyone who gets this will be super lucky! Thank you for hosting Nadia. I don’t have a twitter but I would follow you if I did! Please please please make this mine! I have all the ingredients ready to make your fabulous tahini Salted caramel cheesecake. I’m going to try with my brother’s crappy blender.. I’ll post a photo of the result on my instagram tomorrow <3 please check it out! Awesome, would love to win this! Just read a bit about your background – nice to hear more about you and where you come from and your journey into making and eating healthier food. 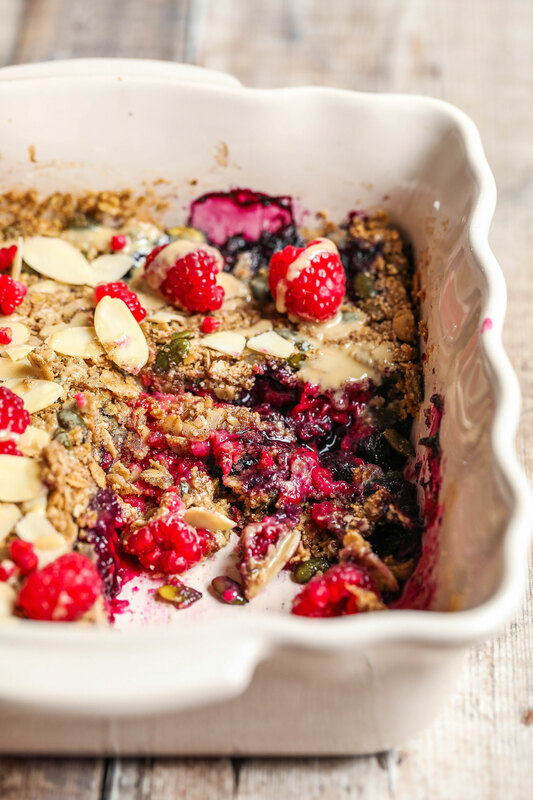 Alll the recipes are amazing I don’t know how to pick one,I love following what you do and have to try and not lick my phone regularly on insta!haha…would love a blender and this one looks the bomb!keep doing what you do! This is such an amazing prize! I’ve gone through a couple of hang blenders so this would be the dream! I love your recipes and enjoy seeing your posts on instagram. It would be great to win the blender, thanks for hosting such a great giveaway! Vegan peanut butter cheesecake! Need to work more with tofu really, so great idea, thanks! I love every recipe I’ve made from Nadia’s website! I hope I can win the blender! 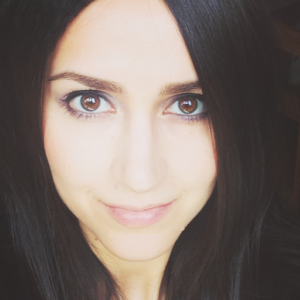 Thanks Nadia for all you add to our lives! I love your Jaffa Cakes recipe! Most of the dessert recipes to be quite honest. It’s good to know that I have options which are good for me and at the same time let me not give up everything I am use to. How can you go past the VEGAN BLUEBERRY BOUNTY BARS!!!! Nom Nom Nom!